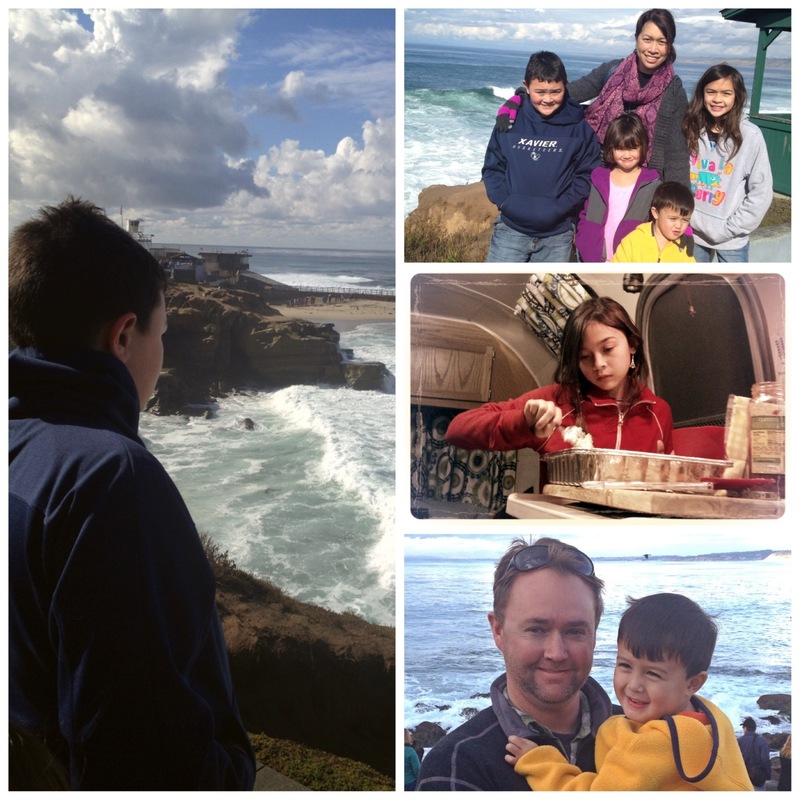 Our first trip of 2013 took us to San Diego, CA. All the photos I took were with my Iphone 4s since I regrettably forgot my camera! Real life interfers again… On the upside, I had plenty of time to figure out how the camera on my phone works as well as several photo apps such as Instagram and Picstich. Not that many food pics this go ’round since most photo ops were when we were out and about. 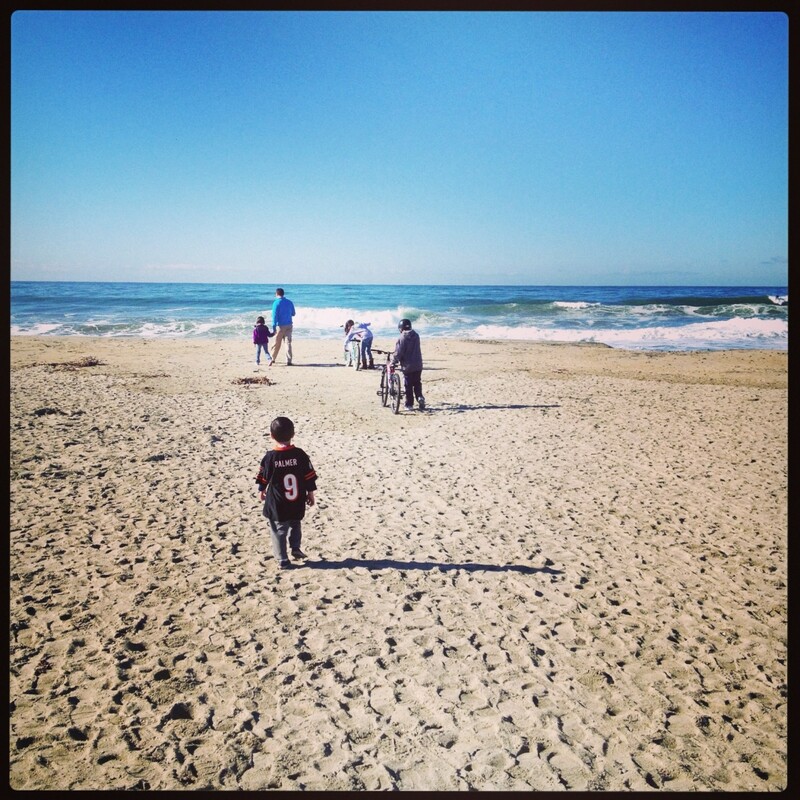 We stayed at a lovely park on the beach called Paradise by the Sea in Oceanside, CA. Of our week long stay, we ate “in” most every night to the likes of grilled citrus lime chicken, pulled pork sandwiches, carnitas burritos with all the fixins’, cheesy lasagna (or wazaannya as Gabe would say it) and super yummy cookie brownies made by the girls in our “tiny” kitchen. We walked on the beaches, saw wild seals lazing on the rocks, rode bikes and roasted marshmallows. It was a good week and a wonderful start to the new year! This entry was posted in family, shorty chefs, tiny Kitchen and tagged airstream, Camp Cooking, Meals on Wheels, Paradise by the Sea, RV. Bookmark the permalink. Josh here from the BlinkPack blog. 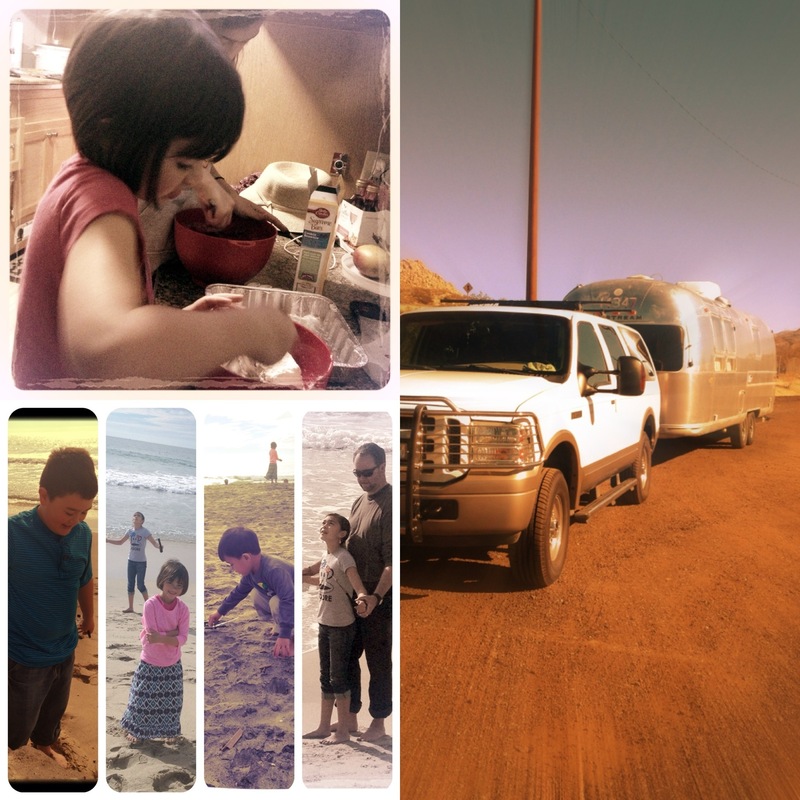 I found your blog because I just bought a little travel trailer, and I can’t wait to get out on the road. I wish you all the best with your adventures and your blogging. Cheers!